1: 48mm Merge Headers for up to 200HP. 2: Calculated firing order for Max Torque and HP. 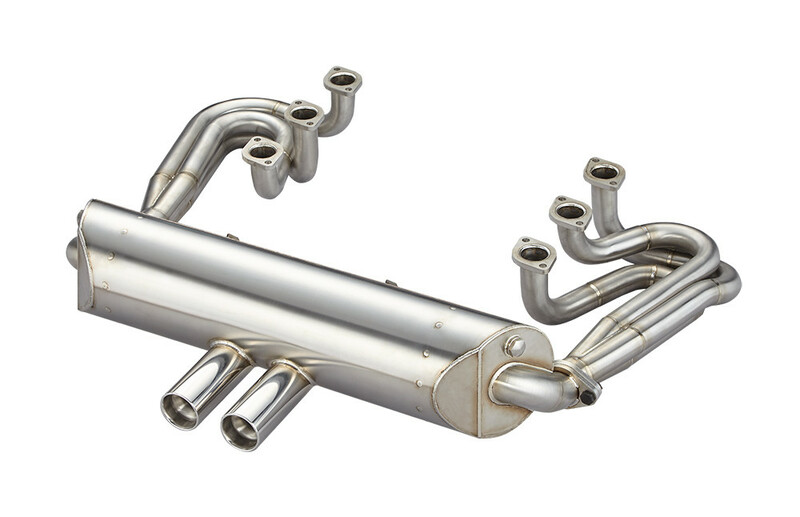 3: 150mm Diameter muffler for Max Power Plus Quiet. 7: Use Original Porsche Gaskets, Gaskets did not include. 8: All #304 Stainless Steel. 9: Muffler Support Clamps included.